Luxfer sample cylinders are the ideal solution for a wide array of sample collection and analysis needs. 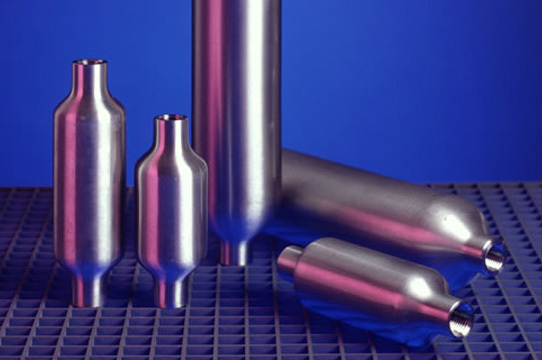 Tens of thousands of Luxfer sampling cylinders are currently in use throughout the world in various industries, including petrochemical refineries and well sites, analytic laboratories, alternative fuel technologies, and manufacturing. Luxfer sampling cylinders have an unsurpassed global safety record. 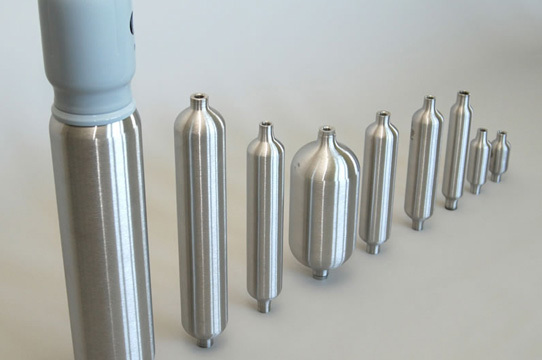 We have an in-house engineering and design team to handle your needs, including custom cylinder designs. Seamless 316 stainless steel construction: All Luxfer sampling cylinders are made from seamless 316SS tubing, providing consistency in wall thickness and internal volume, as well as improved integrity and corrosion resistance compared to standard 304SS offerings. 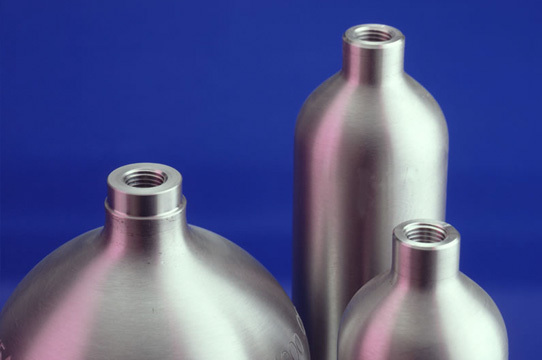 Hot-spun dome and neck profiles: All Luxfer sampling cylinders are formed by a CNC-controlled hot-spinning process that provides a smooth, contoured sidewall-to-neck transition that eliminates the possibility of crevices or pockets that can trap sample residuals. Further, the smooth interior surface of Luxfer cylinders enables easier, more effective cleaning between samples. Dual female NPT threads: Tightly controlled female NPT threads are machined into both ends of cylinders using high-precision, computer-controlled milling machines. Luxfer sampling cylinders are available with various thread measurements compatible with available industry standard valves and fittings. Built to global regulatory standards: Luxfer sampling cylinders are designed, manufactured, tested, and inspected to the major global regulatory standards, such as U.S. Department of Transportation (DOT) and the Transportable Pressure Equipment Directive (TPED). Other available Luxfer benefits: Custom laser markings and higher- pressures models.